DxOMark Image Labs believes that the advent of quadruple-camera systems on smartphones is inevitable. Nicolas Touchard, DxOMark Marketing VP, recently said in an interview with a tech publication that imaging systems consisting of multiple cameras are a logical solution to transcend the physical limitations of handsets. Larger sensors cannot be placed inside smartphones because of their compact dimensions. 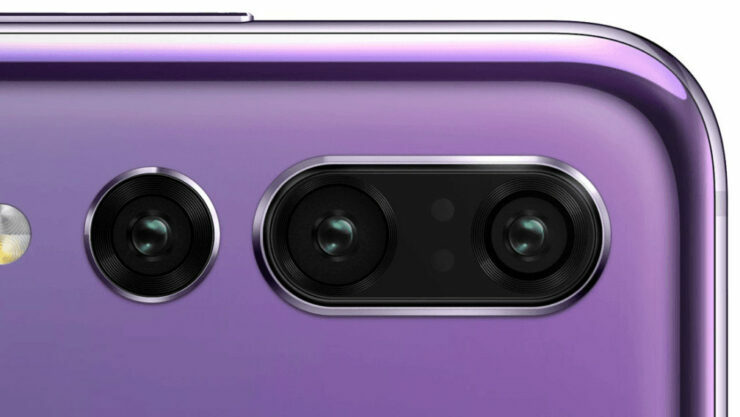 That is why DxOMark Image Labs believe that the rear triple-camera system seen on the Huawei P20 Pro will become mainstream in the near future. Mr. Touchard said that from next year, we will see a lot of smartphones with a triple camera upgrade at the back in various different markets. He said that this will be done to harness their ability to make up for a larger sensor and also to remain competitive in the market. Camera systems that employ three or more lenses can offer superior zoom capabilities and better image quality without compromising on the physical size of the product. This was proved by Huawei earlier with the release of the P20 Pro. DxOMark has rated the aforementioned flagship’s camera as the best mobile camera ever made. It even toppled Samsung’s Galaxy S9 Plus and Google’s Pixel 2 XL. Earlier this week, it was reported that at least one of the phones from Apple’s upcoming lineup will feature a triple camera setup at the back but various rumors have pointed out that this upgrade is not going to be seen until 2019. So in short, Mr. Touchard’s predictions are not a shot in the dark and it’s evident that many phones will emulate P20 Pro’s triple camera setup. Imaging setups with multiple cameras are also making their way to the mid-range segment now, with even the upcoming Pixel 3 and Pixel 3 XL rumored to come with a dual camera setup. If you want to know everything about the triple-camera fused on the Huawei P20 Pro, we recommend reading our detailed explanation here.